This far-flung outpost of the Ottoman empire graces the island with fine Turkish teas and coffee presented in the traditional manner in filigree silver- service. Ayada Maldives showcases the beauty and unique experience of sipping authentically brewed Turkish coffee and specialty teas in a lounge with low seating, as inspired by a traditional café in Turkey. This welcoming lounge is a perfect spot for a private meeting or a relaxed drink with friends. For a soothing afternoon ritual look no further than chef’s modern interpretation of afternoon tea. 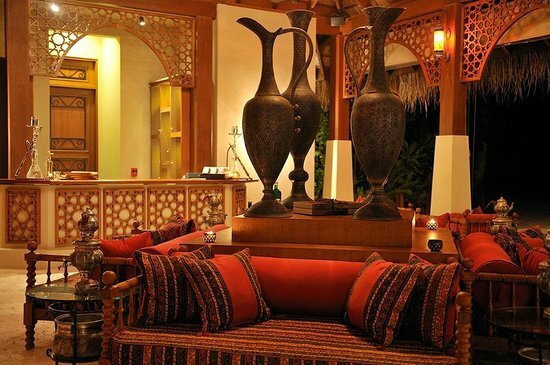 In the evenings, a choice of aromatic shisha water pipes (narghile) adds elegance. 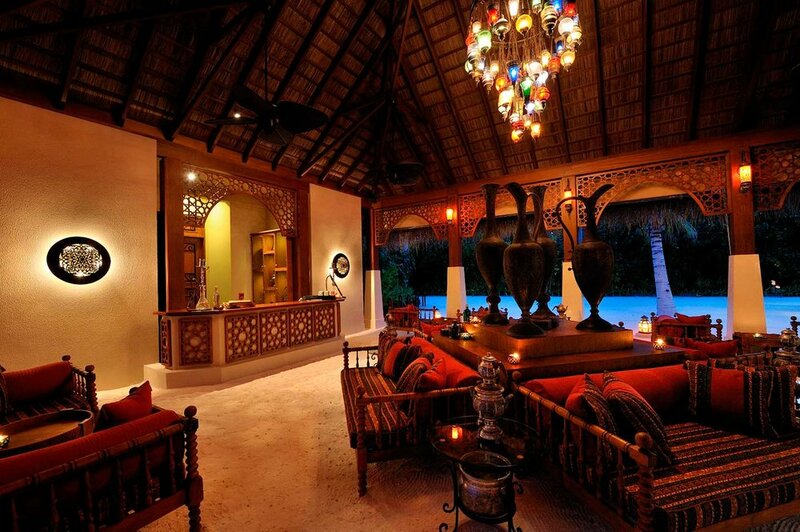 The décor, with its sand-floor and thatched roof with carved wooden furniture, lends itself to photographic interest, especially in the evening when the ‘chandelier’ of hundreds of tiny Turkish style lanterns light up the lounge.